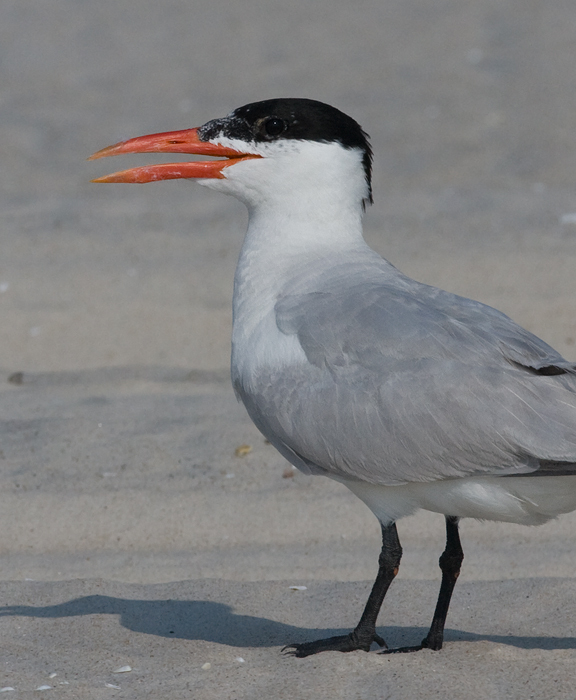 Mostly on Assateague Island, Maryland. 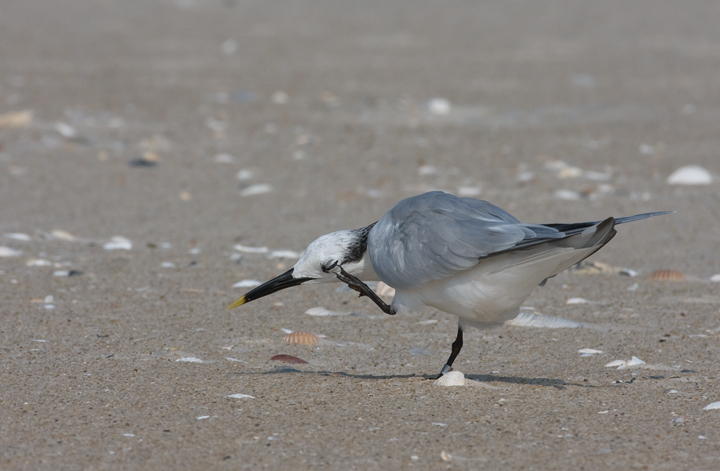 Last updated: 8/11/2009. 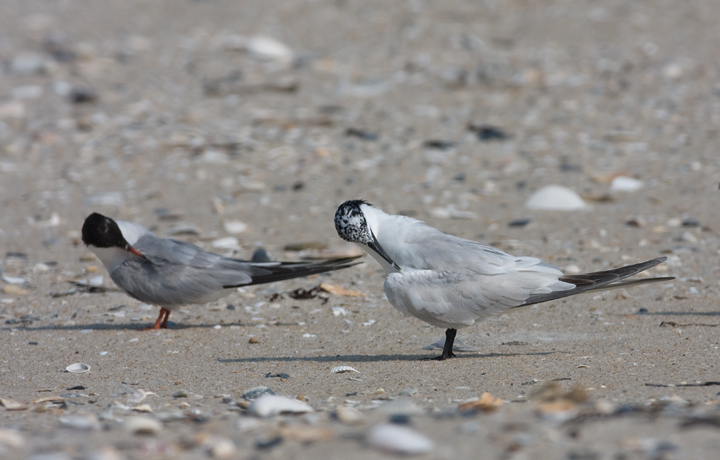 Above and below four: Recently returned Caspian Terns on Assateague Island, Maryland (8/9/2009). 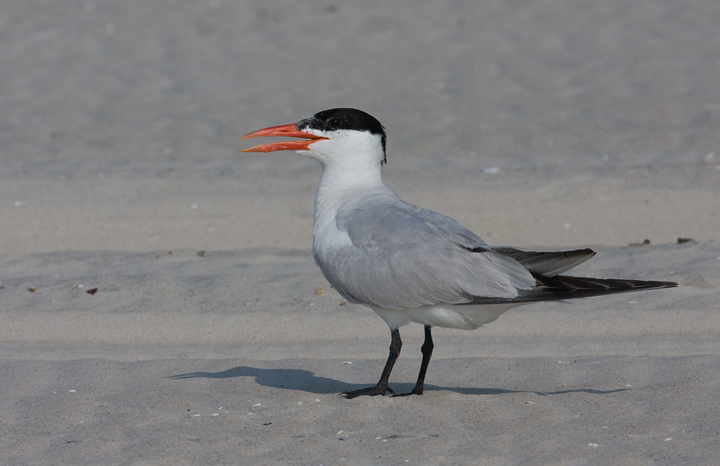 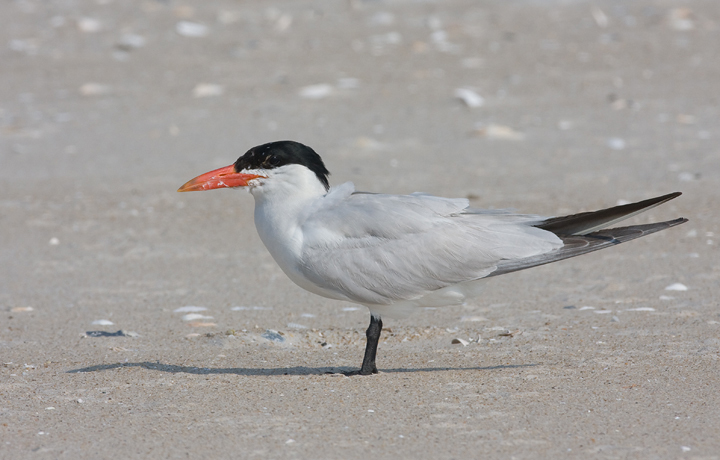 Below: A Caspian Tern roosting with a Sandwich Tern on Assateague Island, Maryland (8/9/2009). 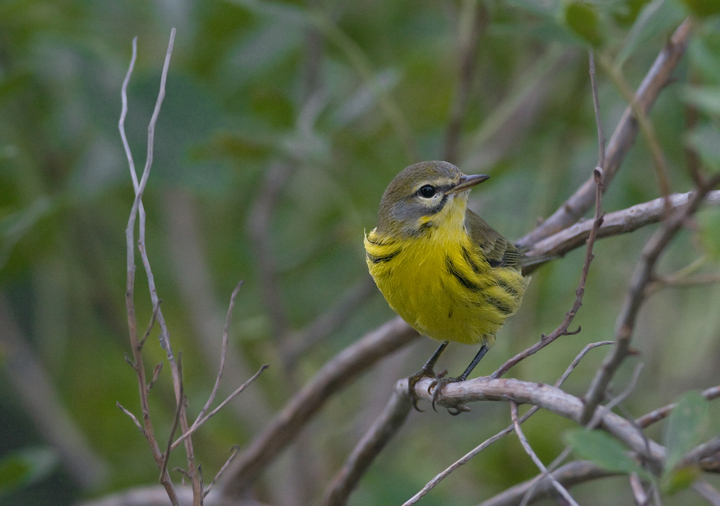 Below: A migrant Prairie Warbler on Assateague Island, Maryland (8/9/2009). 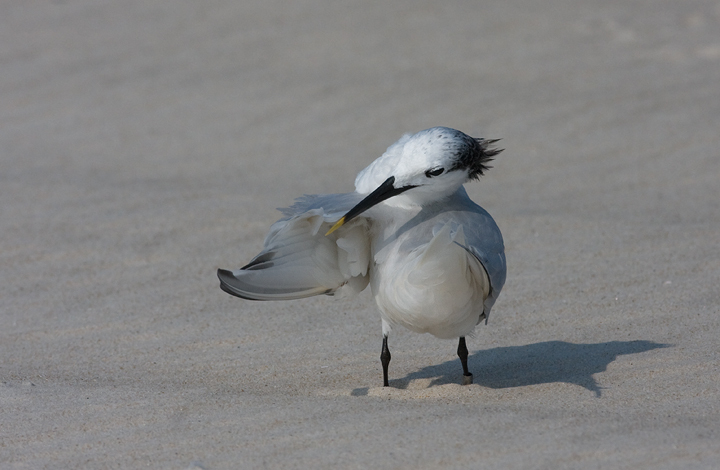 Below five: Sandwich Terns roosting on Assateague Island, Maryland (8/9/2009). 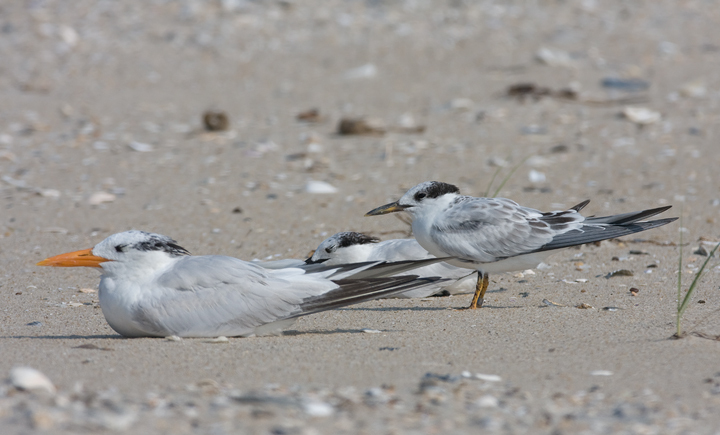 Below: A very recently fledged juvenile Sandwich Tern with adult Sandwich Tern and Royal Tern (8/9/2009). 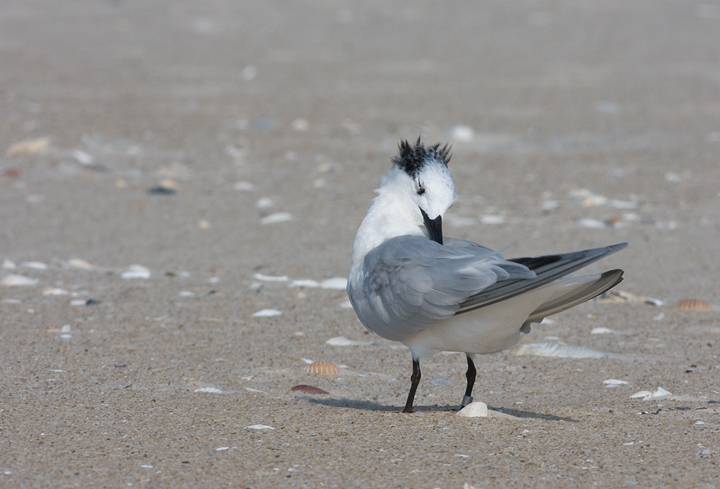 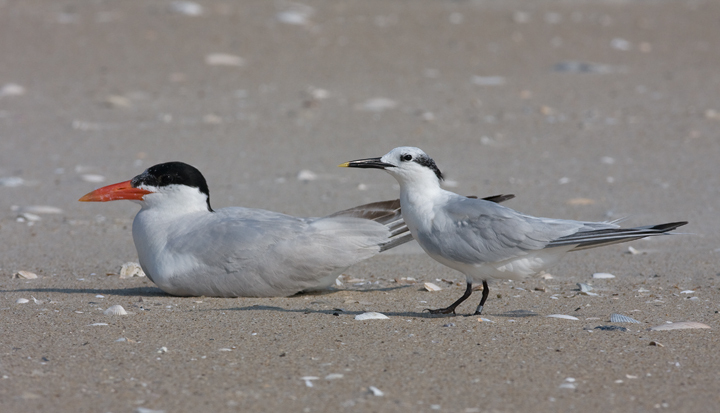 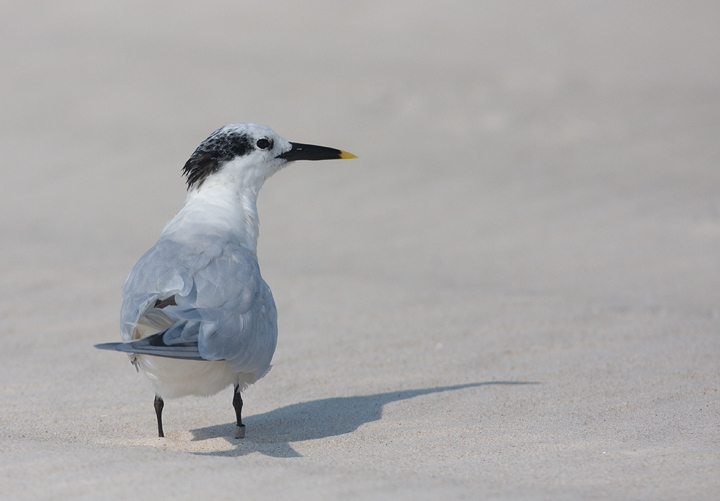 Below: A Sandwich Tern roosting with a Common Tern on Assateague Island, Maryland (8/9/2009). 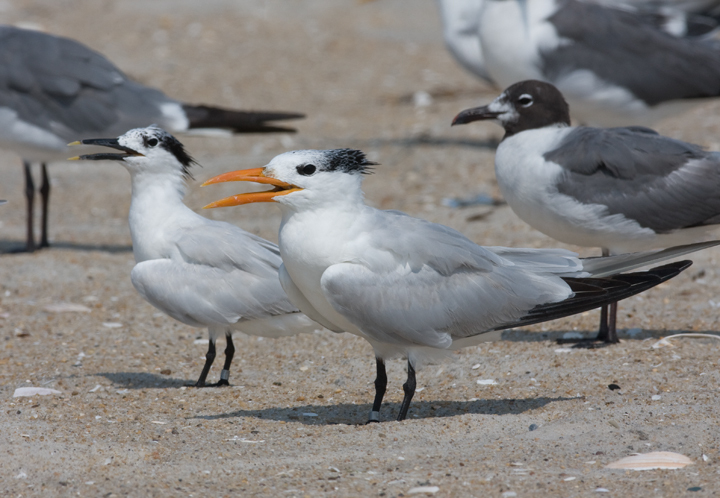 Below: A Sandwich Tern roosting with a Royal Tern and Laughing Gulls - Assateague Island, Maryland (8/9/2009). 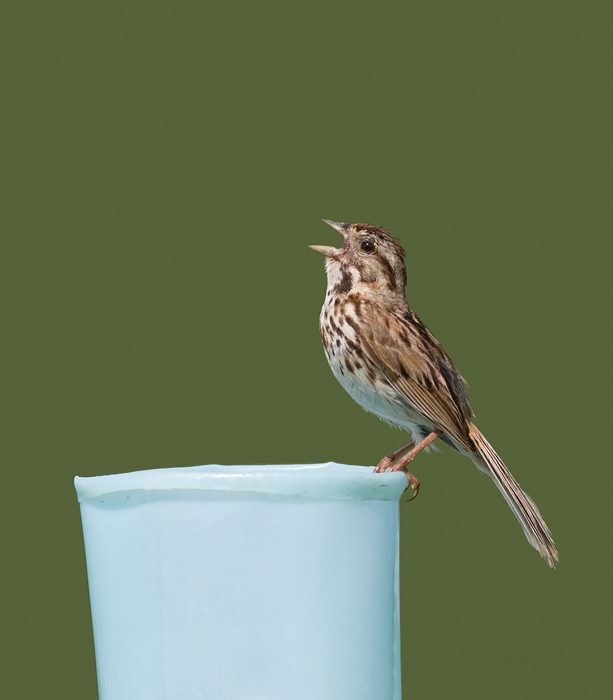 Below: A Song Sparrow still singing in Sassafras NRMA, Kent Co., Maryland (8/8/2009). 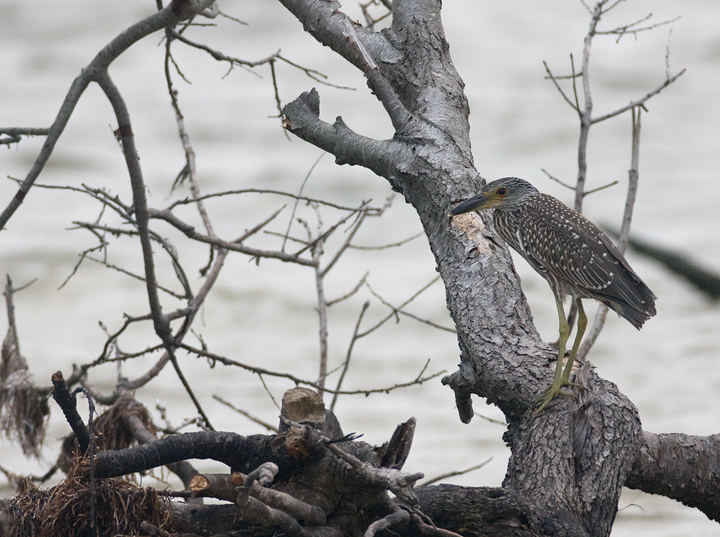 Below: A juvenile Yellow-crowned Night-Heron on Assateague Island, Maryland (8/9/2009). 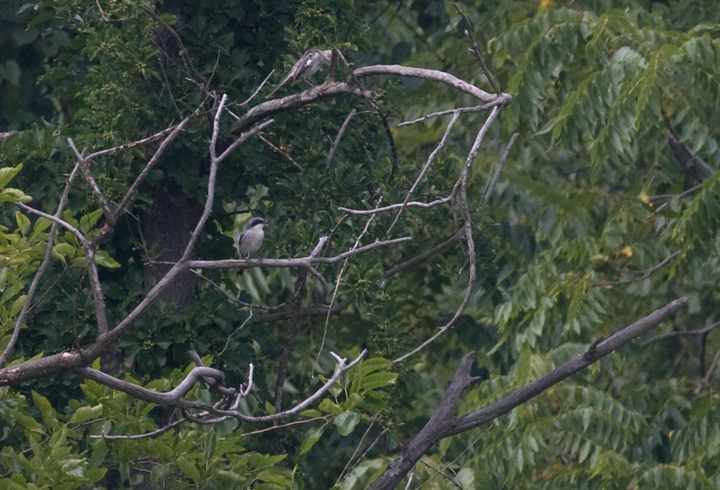 Below: A Loggerhead Shrike found by Jim Green near Hagerstown, Maryland (8/8/2009). 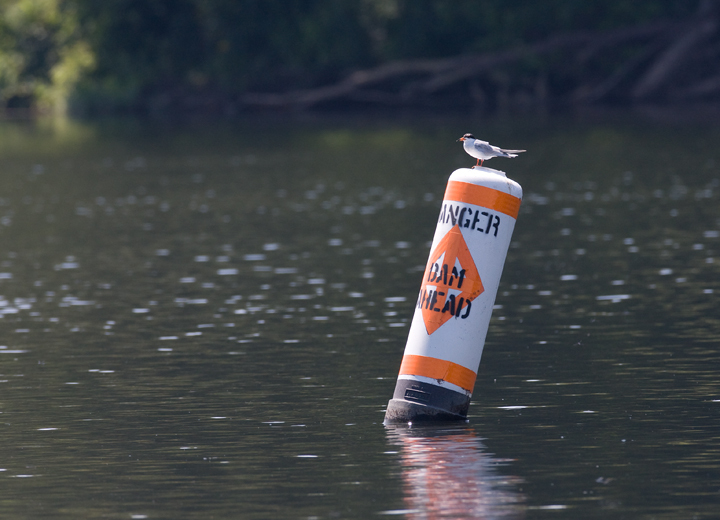 Although this is a distant shot, I wanted to include it here because it was the first I've photographed in Maryland. 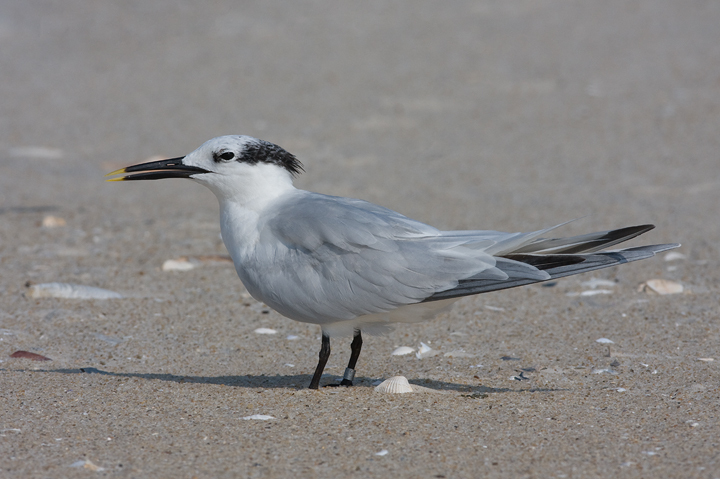 Below: A Forster's Tern at Williamsport, Maryland (8/8/2009). 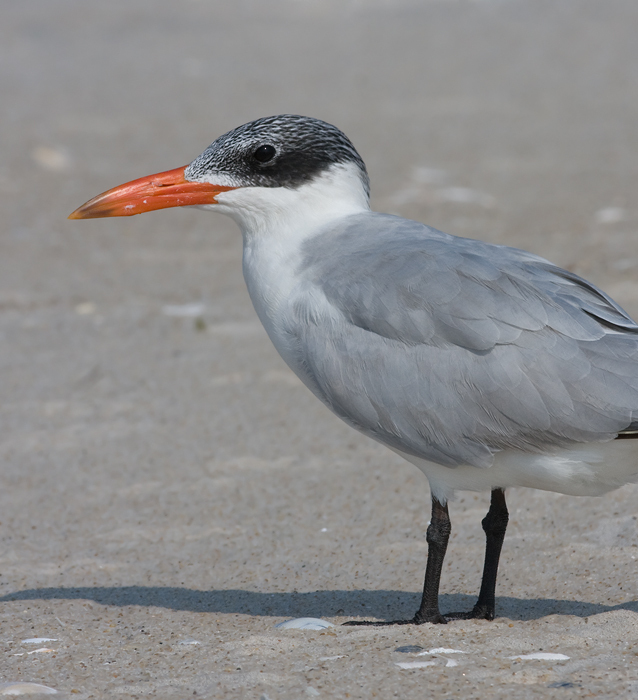 This species is very rare in western Maryland. 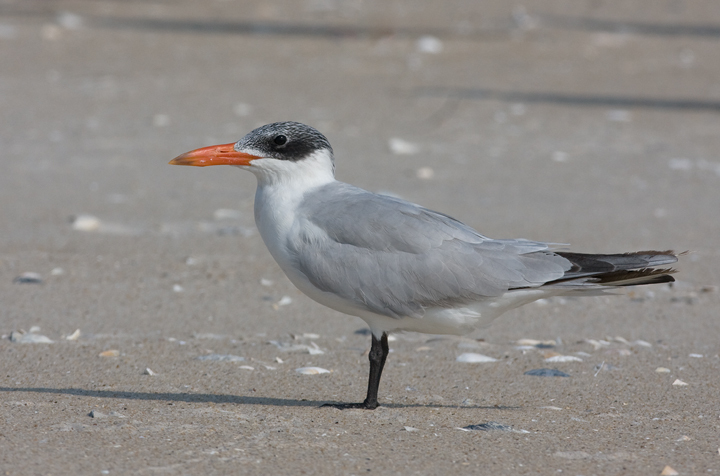 Jim Stasz found this individual, which was his county closeout (i.e., recorded in all 23 Maryland counties).